The continuing goal of every Christian is to grow spiritually. Yet how do you measure spiritual growth? 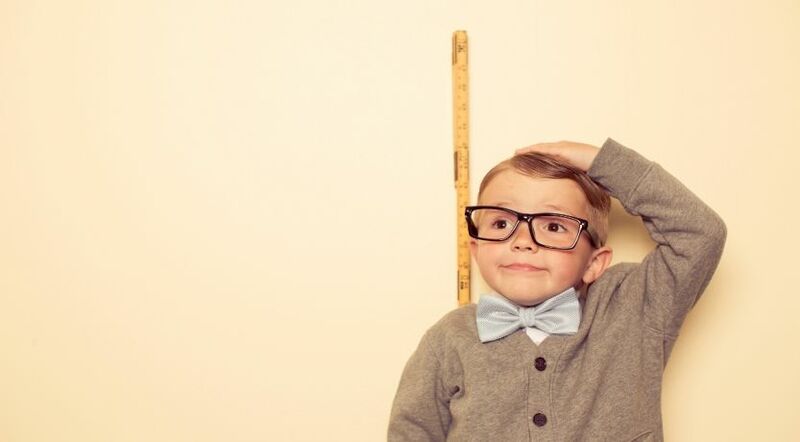 To measure growth, don’t we need a measuring stick? How much faith do you and I have? How much have we grown spiritually? How should spiritual growth be measured? Many find it easier to make a quantitative physical assessment (based on the letter of the law) than a qualitative spiritual assessment (based on the spirit of the law). When assessing our spiritual growth, we can fall into the trap of thinking quantitatively rather than qualitatively. With respect to God’s laws, the quantitative parts tend to be easier. Often, the letter of the law is seen as quantitative, while the values of the law are seen as qualitative. There are yes/no answers (quantitative) for many of God’s laws: Did you steal? Did you murder? Did you lie? Did you tithe? Yet how do you measure values (qualitative) such as: Are you just? Do you love others? Are you honest? Would this approach work for measuring spiritual growth? On a scale of 1 to 10, how much have you grown? Doctors have found the pain scale useful, and such a 1-to-10 scale could be helpful in a general assessment of our level of faith or spiritual growth. But are there dangers in taking such an approach exclusively? Certainly, we are admonished to examine ourselves regularly, particularly prior to the biblical Passover (1 Corinthians 11:28). Our approach to measuring ourselves should address specific aspects. For example, “Examine yourselves as to whether you are in the faith” (2 Corinthians 13:5). We are also cautioned about how we measure others: “For with what judgment you judge, you will be judged; and with the measure you use, it will be measured back to you” (Matthew 7:2). How should we go about measuring ourselves? Let’s look at one biblical example. Most people today don’t think about this law, but among those who recognize that Christ and the New Testament Church continued to observe the seventh-day Sabbath, various questions arise. As a minister, I have often been asked over the years if it is okay to do some specific task on the Sabbath. Basically, the questioner is using a two-point scale (yes/no) to measure keeping the Sabbath holy. Certain sects of Jews have developed an extremely detailed yes/no scale that addresses 39 categories of activities they believe should be prohibited on the Sabbath. Kindling or extinguishing a fire are examples. Since they consider the spark created by electricity to be fire, they even prohibit turning light switches on or off. These rules go far beyond what the Bible commands. But can you really break down keeping the Sabbath holy (qualitative) into just a series of yes/no decisions (quantitative)? If that is your only measurement, the emphasis is shifted away from “the weightier matters of the law: justice and mercy and faith” (Matthew 23:23). As Jesus Christ said, we should do both. Can you really put a number on qualitative values? What about using the popular scale of 1 to 10? There are dozens of specific areas of spiritual growth. Take, for example, the Fifth Commandment to honor one’s parents. If a scale of 1 to 10 is used, it might look like the one below. When viewed like this, it seems a rather one-dimensional way to evaluate a relationship with parents. How do you rate honoring parents? Do you use your gut feeling? Is it related to how often you get together with them? How often you call? Or help them? In the story of the widow’s mite (Luke 21:1-4), Christ pointed out how easy it is to use the wrong scale. The generosity scale used by most people in Christ’s time was the amount of money given. But Christ evaluated it on the percentage of income given. If Christ was using the 1 to 10 scale, the widow would have received a 10. Those who gave much may have thought they were 10s, but Christ said they were actually toward the other end of the scale. Clearly, trying to measure your growth with a numerical scale can be very deceptive. Is there a good measuring stick? Growth over time might take the form of an inverted U. Typically, the early stage of spiritual growth is rapid. Everything is new, enthusiasm is high, and there is a lot to learn. However, with time the growth curve tends toward leveling out and may plateau. As we face times of trial, our growth occasionally regresses, hence the beginning of the inverted U. This decline is probably common for all of us from time to time. It is at such times that we face a turning point. We can either learn from the trial, initiating a new growth spurt, or be overcome with discouragement and regress down the inverted U path. So, how do we keep the growth curve on a positive slope? One way is to focus on our weaknesses, where there is a lot of room to grow as we overcome those weaknesses. Don’t fall into the trap of thinking of growth as just a number or a box to be checked. It’s a matter of quality, not just quantity. It is a lifelong process. Intuitively, we often do just the opposite and focus on our strengths. We tend to dismiss our weaknesses by believing, “I’ve never been good at that.” Not only does that approach limit our growth, but it can easily turn our strengths into such weaknesses as pride. Let’s look at the example of King David. First, consider his strengths: faith (Hebrews 11:32), zealousness (Acts 13:22), sincerity and humility (illustrated throughout the Psalms), courage (1 Samuel 23:1-2, 3-5, among many examples) and steadfastness (Psalm 57:7). He rode these strengths to remarkable growth—but at times he faltered. His humility drifted into pride as he determined to take a census of the nation (2 Samuel 24:1-2, 3-4). He had a history of violence that precluded God from allowing him to build the temple. And, of course, his steadfastness to God’s laws turned into disobedience with Bathsheba. Each of these failings marked declines in David’s growth curve. Yet he didn’t stay down long. He deeply repented, renewed His commitment to God and endured to the end. You can’t live in the middle ground of the growth curve. You either grow or die (John 15:2; Luke 3:8-9, 10-13). Don’t fall into the trap of thinking of growth as just a number or a box to be checked. It’s a matter of quality, not just quantity. It is a lifelong process. “For to this you were called, because Christ also suffered for us, leaving us an example, that you should follow His steps” (1 Peter 2:21, emphasis added throughout). “A new commandment I give to you, that you love one another, as I have loved you, that you also love one another” (John 13:34). “Let this mind be in you which was also in Christ Jesus, who, being in the form of God, did not consider it robbery to be equal with God, but made Himself of no reputation, taking the form of a bondservant, and coming in the likeness of men” (Philippians 2:5-7). “Bearing with one another, and forgiving one another, if anyone has a complaint against another; even as Christ forgave you, so you also must do” (Colossians 3:13). “Come to Me all you who labor and are heavy laden, and I will give you rest. Take My yoke upon you and learn from Me, for I am gentle and lowly in heart, and you will find rest for your souls. For My yoke is easy and My burden is light” (Matthew 11:28-30). Paul exhorted Christians to measure themselves against the standard set by Jesus Christ (Ephesians 4:13). This is a standard we cannot of ourselves achieve, but we can receive God’s help. Through repentance, baptism and receiving the Holy Spirit, we can have Christ’s mind in us. We can begin to think and act more and more like Him. By communicating with God (praying), studying His instructions (the Bible) and doing what He says, we can grow toward the stature of Christ.